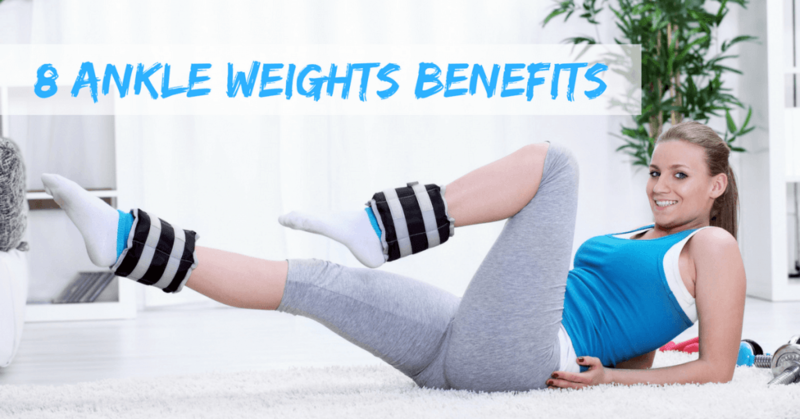 If you’ve been exercising for some time, you’ve probably heard of ankle weights and know some people who love to wear these products. But the question is this: does wearing these weighted bands when working out really give you an advantage? Let’s take a closer look at some of the ankle weights benefits below. In an interview with the Los Angeles Times, orthopedics and sports medicine expert Dr. Anthony Luke points out that ankle weights require leg muscles to work harder than normal. This, in turn, helps develop more muscle mass in your glutes, hamstrings, and quadriceps. A 1989 study showed that using wrist and ankle weights requires people to expend more energy, which equates to more calories burned per minute. This can result in significant weight loss when you make these weighted bands a part of your workouts. The increased muscle mass brought about by wearing ankle bands can also contribute to weight loss. Remember: muscles burn more calories than fats even when you’re at rest. So, the more muscles you have, the faster your metabolism will be and the more weight you’ll lose over time — with proper diet and exercise, of course. The more muscles you have and the more you use them, the stronger your body will be. This means that, when you use ankle weights, you won’t only get improved leg muscles but you’ll also develop more strength in this area. This is highly beneficial especially if you’re involved in sports that require leg strength, such as swimming, soccer, basketball, cycling, and track and field. This is also advantageous if your job involves manual labor and requires you to have excellent lower body strength. Having better endurance and stamina won’t only help you win races. It will also help you build more muscles and lose more weight since you’ll have the ability to do more challenging exercises for longer periods of time. Of course, it can lead to better respiratory and cardiovascular health. One of the best ways to boost your endurance and stamina is to wear ankle weights. According to the American Council on Exercise, wearing one-pound to three-pound weights can increase your heart rate by up to 3 to 5 beats per minute. It can also raise your oxygen consumption by up to 10 percent. If you’ve been repeating your exercises for weeks or months, chances are you’ll eventually get bored by them. This can make you less enthusiastic about working out and even discourage you from exercising altogether. To prevent this from happening, one thing you can do is to use ankle weights. They make all leg workouts a lot harder, so you have no choice but to exert yourself more. This increase in difficulty makes your workouts more challenging and can bring out your competitive spirit. Pro tip: Wearing aquatic ankle weights when you swim! Doing this lets you create more resistance and add an extra challenge to your swimming routine. As mentioned above, wearing ankle weights can improve your leg muscle mass and increase your strength. But this isn’t the only benefit you’ll enjoy since more muscles equate to more shapely and more attractive legs. This is a huge bonus especially if you’re not satisfied with how your legs look and want them to appear leaner and more sculpted. It’s a great way to increase your confidence since you know that your legs look great when you wear shorts or miniskirts. This is one of the surprising benefits of ankle weights. Not all people know this, but wearing weighted bands on your ankles is actually an excellent way to tone and strengthen your abdominal muscles. The best thing about wearing ankle weights is that it targets your lower abdomen, which is one of the hardest areas to train. Incorporate these weights in your workouts to get rid of tummy flab and develop rock-hard abs. Aside from boosting respiratory endurance, ankle weights can also be used in weighted breathing exercises. These workouts are beneficial to everyone, but they’re especially helpful to those who have asthma since they help strengthen the breathing muscles. A 2013 review published in the African Journal for Physical Health Education, Recreation and Dance pointed out that weighted breathing can help halt asthma attacks and even allow asthma sufferers to lead a symptom-free and medication-free life. To perform weighted breathing exercises, lie on your back and place an ankle weight on your abdomen. Make sure to lift the weight when you inhale and lower it when you exhale. Strap them properly: Your ankle weights should fit you snugly, but they shouldn’t be too tight since this can interfere with your blood circulation and make you feel uncomfortable. Don’t use too much weight: Limit yourself to a maximum of 3 lbs. Wearing ankle weights that weigh over 3lbs can lead to injuries. Don’t wear them often: Your joints and muscles need to rest, so don’t wear your ankle weights 24/7. Avoid wearing them when doing aerobic exercises: It might seem like a good idea to wear ankle weights when walking or running, but doing so can actually change your gait and cause injuries. Use ankle weights when performing non-aerobic workouts like leg lifts and reverse abdominal lifts. Avoid them if you have joint problems: If you have existing joint pain or inflammation, you should not use ankle weights since these can exacerbate your condition. If you find yourself wondering, “What are ankle weights good for?”, the answer is: A LOT. They provide a wide range of advantages — including respiratory, cardiovascular, and metabolic ones — and should definitely be added to your workouts. Just make sure to use them properly so you can enjoy the ankle weights benefits listed above.